WE PAY CASH FOR ANY CAR! NEED TO SELL YOUR CAR IN SAN DIEGO? All of us at Milano’s Cash for Cars would like to welcome you to our site. If you want to sell your car with the least amount of hassle, you have come to the right place. At Milano’s Cash for Cars, we pride ourselves on being the experts in car buying. Where other companies complicate the process, we make it easy for you to sell your car and move on with your day. Milano’s Cash for Cars isn’t a fly-by-night operation, or a business left behind by the times. We’re experts at what we do, and that’s making it easy to sell your car. Customer service is our top priority, and we will make sure you leave satisfied with the sale. You’ll be treated fairly and with respect, and you’ll be paid in cash for your vehicle. We believe in a core principle of providing a great service with less hassle, and we’ve found it leads to happy customers and repeat business. Milano’s Cash for Cars works with individuals in the San Diego area who want to sell their car. Selling a car can be a time consuming, frustrating experience when it’s not properly done. Here at Milano’s, we do everything possible to make the experience a pleasant one. We have methods in place to simplify the process, so that anyone can sell their car to us. Worried about paperwork? Don’t be. We will take care of it for you. Best of all, the entire transaction can be handled in one day. Come in with the car you want to sell, and leave with cash in your hand. We’re conveniently located in the San Diego area, and serve the city and all surrounding areas. Stop by, and see for yourself how Milano’s Cash for Cars can buy your car with minimum disruption of your life. There are many places to sell your car, but choose wisely. 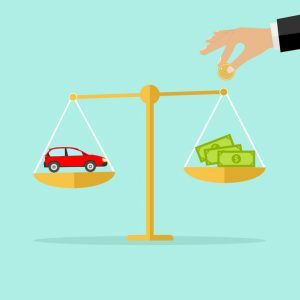 The big dealerships may purchase your car, but why should you have to put up with long wait times, rigid company policies, and less-than-great customer service? Bring your business to Milano’s, where your patronage will be appreciated. We’re locally owned and operated, serving our local citizens with pride. Come see us- we’d love the chance to show you why our way is better. Simply put, we buy cars! Any car, including new cars, old cars, cars that are in good condition, cars that are not running, damaged cars and cars that cannot pass smog and emissions tests, are exactly what we are looking for. If you are an individual who owns a car, and are looking to sell it quickly, you’ve come to the right place. In most cases, our customers find that they can sell their car in less than an hour, and we give all of our sellers our ironclad guarantee that every sales transaction will be completed within the same business day. If you’ve got an old car that you’d like to sell, simply navigate our easy-to-use website and input your vehicle’s information. We will quickly evaluate your car, give you a fair estimate, and if we agree then you will walk away with cash in hand. In most cases, we can rapidly scan through our vast database of vehicles to give you a precise and fair amount for your old vehicle. While we do not sell used vehicles, we offer every single customer who wants to sell their vehicle rapidly and safely the ability to do so within hours or less. Unlike other car buyers, we take literally any vehicle. Cars that do not run anymore, which have been damaged or totaled in a crash, or are otherwise ready for the scrap heap could be worth big cash. Simply log onto our website to get a quick and fair appraisal of your used vehicle. With decades of experience in the field of buying cars, we can quickly and accurate asses the fair market price for your used car. We understand that each car has its own special history and that’s why we only hire experts from the insurance and forensic fields, so that our customers can get the right price that their car deserves. The internet is a big place and sometimes it can be hard to find a name you can trust. We here at Milano’s are licensed and bonded, and we hire only expert appraisers with years in the field so that we can get you the cash you need for your car. Whether your car is foreign or domestic, a new model or a classic, our quality team of vehicle assessors are intimately familiar with the history and value of your car. Because we put our name behind every purchase that we make, sellers can be sure that they will always be getting a fair deal. With decades of experience, all buyers at Milano’s are fully licensed and bonded for your protection and security. Can I still sell my car even if it won’t start anymore? – Yes. Even older cars that have been abandoned for years can be worth big money. Log onto our website to get a quick and fair price offer for your older vehicle. What if my car is okay but it won’t pass my state’s emissions tests? – If you want to continue driving that car, you’re going to have to make some expensive repairs first. But if you’d like to sell that vehicle to Milano’s, our expert team of analysts will be happy to make you a fair offer for your vehicle, often within an hour. Why Should I Trust Your Company? – We’ve got decades of experience in the industry, as thousands of our satisfied customers can happily attest. Also, all purchasers at Milano’s are fully licensed and bonded for the protection and security of the consumer. How Long Does It Take to Sell My Car to Milano’s? – Using our vast databases and expert team of vehicle appraisers, we are happy to offer our customers a fair price for their vehicle, usually in about an hour. Sometimes it may take a little longer, but we always have an answer for our customers by the end of the same business day. Are You Local In San Diego? – Yes. Our offices are located in San Diego, CA. You can rest assured you are dealing with a local company when you work with us. Can you tell us some of the benefits of selling a car to your company? If you decide to use our company (and we really hope that you do) you will see that there are many benefits of choosing to use us. For instance, in a normal private party sale you are required to smog your vehicle before sale. Although, through the use of our service you can completely omit the vehicle emissions test (awesome, right?). This means that if your car is failing the smog test we can still buy it from you. Another reason why using our services is smart is because we offer free towing, and no hidden fees. We are upfront with our customers. We will tell them a price that we will pay for their car, and after that we will pay them for it. We aren’t going to include extra hidden fees or charges, and we certainly aren’t going to charge you for towing your vehicle. Additionally, we will purchase any car from you. Our only condition is that it must actually be a car, and not just the shell of a vehicle meaning the engine and parts of the car must for the most part be intact. Why is this of benefit to you? Well, you can just call us and be assured that we will buy your vehicle. Even if your car is 40 years old and not running we’ll still buy it from (pretty cool, right?). -First, you’ll do some research and find out how much you can ask for your car. -Then you’ll have to find out where to put your car to get some calls, maybe you’ll try multiple place or maybe just one outlet. -Next you’ll play the waiting game. You’ll probably start asking yourself some questions like “Did I price my car too high?”, “Is that guy who called really interested in my car or just wasting my time?”. – After you entertain some offers some people may come to see the car, others may say they are coming but never show up. Others may even just come to take the car for a joy ride. So, now you see the need for an easier way to sell an automobile, right? Well, that’s where we come in and streamline everything. Call a professional service like Milano’s and get everything taken care of for you. You won’t be playing waiting games anymore- and you can be assured that you will receive top quality service from a local San Diego based company. 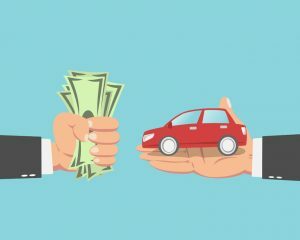 What Price Will I Get For My Vehicle? Each make and model is different, and every individual vehicle has a special history, including mileage, accident history, and repair and maintenance schedules. So, what type of things might effect the values of a used car? For one, if the car is not running it will of course be worth quite a bit less than an automobile that is in running condition. The reason being a mechanic will need to inspect the car to diagnose the problem. Once the problem has been located they will need to actually fix it to get it running again. Additionally, if the car has been involved in a wreck and is currently damaged or previously damaged the price of the car will be affected. Often times when a vehicle is involved in an accident it may become a salvaged title which hinders the value immensely. If the car currently has major damage on it, it goes without saying that the car will need to endure some bodywork which will be costly to repair. So, obviously the price of the car will have to be less than one that does not have this damage. Furthermore, if a vehicle has engine failure, problems with the head gasket the price will be affected because often times the engine will need to be replaced or completely rebuilt. As you can see a lot of thought goes into estimating the worth of an automobile, and every car is unique in a sense with its own background (kind of like a person). The best way for us to evaluate the car is for you to call us at the number listed above. In order to find out how much you can get for your car, simply log onto our website and input your vehicle’s details and ownership history information. Or, just give us a phone call and we’ll gladly let you know what we can offer for your vehicle. Remember, we have experienced individuals who have been purchasing vehicles for years. They will be able to formulate a fair offer rather quickly for your car. If you’ve got a car that you’d like to quickly sell for a fair price, do not hesitate! Click on the link today and rapidly receive money for your vehicle. So, what are you waiting for? If you want quick service and a simple solution for selling your old ride get in contact with us. You can reach us by phone, email or even stop by our office in San Diego. One of our team members will gladly answer any and all of your questions.